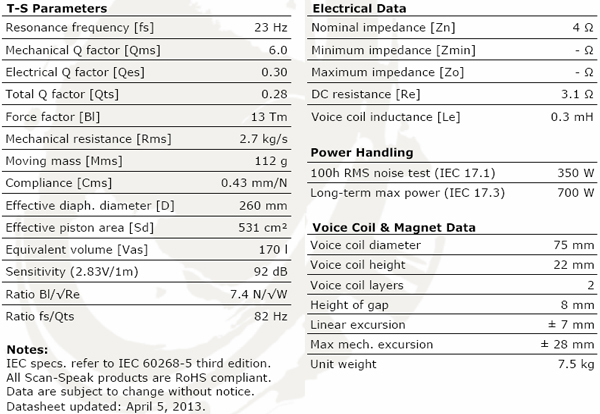 Pdf specification sheet for download. 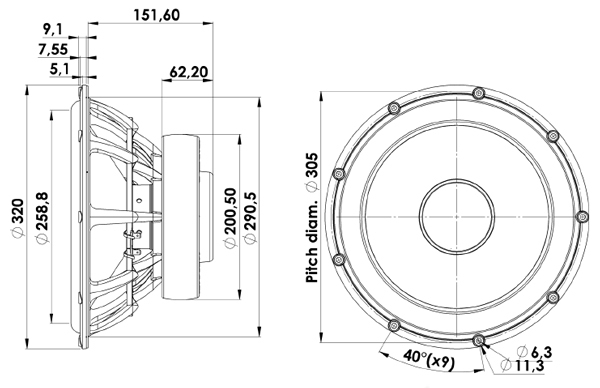 The 32W/4878T01 is a very powerful 28cm woofer, with its large 3” voice coil, low resonance frequency. It features a paper-sandwich cone with very high stiffness and relative low weight. The motor system has heavy duty copper sleeves for optimizing eddy currents and minimizing self-induction. 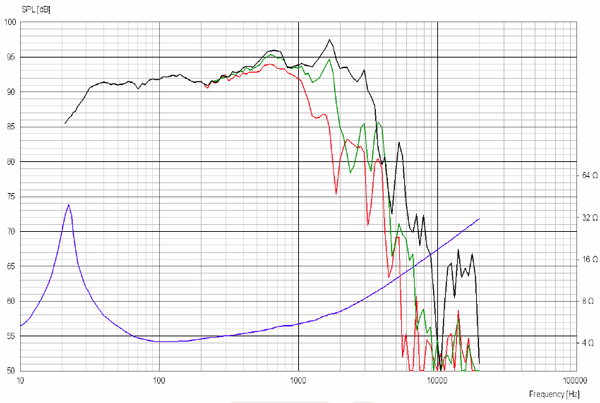 Shortening the vents by a few inches will lower the f3 by 3-5Hz, but the longer port might sound more natural.